Referred to as the ‘Hawaii of South Korea’, Jeju Island is indeed one of the must-visit travel destinations in South Korea. Nowhere else in Asia (or perhaps the world) does nightlife as well as Seoul, and although there's a party for everyone, there are a number of places designed especially for the entertainment of women. But we're not just talking buy-one-get-one-free drinks and half priced appetizers. Think more along the lines of cute guys in hard hats, sultry stage performances and plenty of places to pamper yourself. So, round up your girlfriends, book your hair appointment, dig out that little black dress and dust off your dancing shoes. It's time for a girls' night out, Seoul style. I'll be letting you in on all the places worth checking out around Seoul with your favorite ladies in this new monthly series, but first up is perhaps the city's most legendary nightlife district: Hongdae. We are a co-ed ultimate league based in S. Korea with 24 teams from around the country. With nearly 400 players from all over the world, ROK-U is the place to meet interesting and active people in a fun action-filled environment. This is a beginners’ league so no prior experience is necessary! If you like to run and want to meet new friends then this league is for you. We have a spring season that runs from mid March to late May and a fall season from late September to mid November. If you’ve read my blog before you’ll know all about my love of food, especially my new-found love of Korean food. 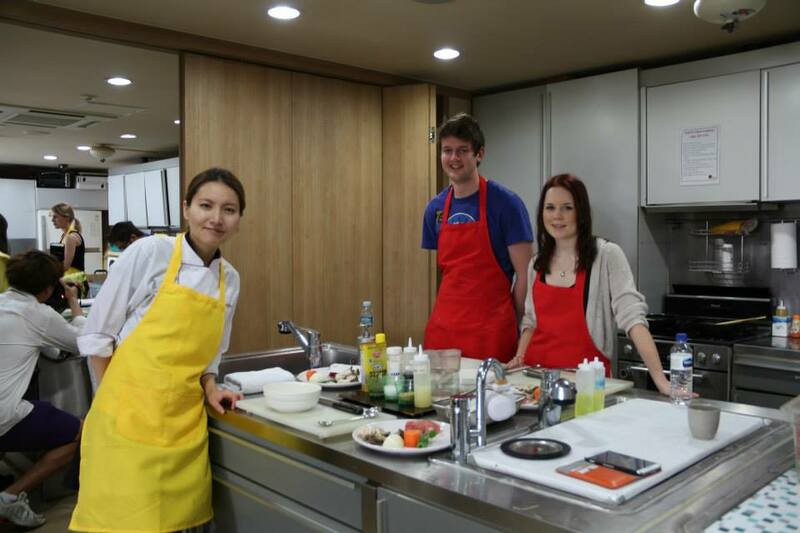 So imagine my excitement when I found, quite by accident, cooking classes for foreigners in Seoul. I immediately booked a class, excited not only for the experience, but also so that I could start to recreate my favourite meals at home. After all, I will at some point go back to England, and if I don’t know how to make Bibimbap by then it will be a disaster. This weekend is a four-day holiday here in Busan, which is super-rare in Korea because Koreans tend not to take vacations that often. As I was telling my sister this morning, this is the first day we’ve had off work since Lunar New Year in late January. Koreans will be celebrating both Children’s Day and Buddha’s Birthday this week, so the city is full of traditional lotus lantern decorations. A couple weekends ago, we went to the Lotus Lantern Festival at Yongdusan Park (near Busan Tower, Nampo subway stop, exit 1). While by no means as massive as Jinju’s yearly lanter festival (which I am just now realizing I have never posted about–I will remedy this posthaste), this is a nice way to spend an evening. Ric and I had a fabulous dinner at Arun Thai then walked off all that yummy pad thai checking out the lanterns and folk crafts in the park.